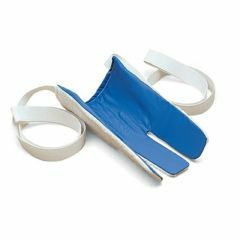 AllegroMedical.com proudly offers the very best in dressing aids for elderly, disabled persons, including such handy tools as handicap sock helper devoices, shoe horns, zipper pulls, and more. Here you can enjoy discount dressing aids for the elderly & disabled from the very best manufacturers and brands. From sock aids from Maddak and AliMed to shoehorns from North Coast Medical, leg lift straps by Ableware, and leg lifters from Complte Medical Supplies, among many others. AllegroMedical.com offers the very best in dressing aids for disabled and elderly patients, as well as accessories of all kinds at the lowest prices guaranteed. See our Best Price Guarantee for more details.